Use Google and Firebase tools so users get to your app when performing tasks, following links, or opening search results. Deliver meaningful information to your users with the right number and frequency of notifications to keep them engaged with your app. Enable Actions on Google so that users can interact with your content and features from the Google Assistant. Easily set up multiplayer games, ad-hoc groups, sharing, or collaboration, as well as use information from beacons and things. Give your app better location awareness by including data-rich maps, helping users find relevant places nearby and more. Keep players more engaged with multiplayer games, video recording, achievements, quests, cloud save, leaderboards, and more. Provide users with health and fitness information using sensors in the devices they own and by connecting to new data sources. Browse your app’s ratings and reviews, and thank users for their feedback, taking care to respond positively to critics. Identify interesting groups within your user population so you can create effective remarketing campaigns to re-engage them. View detailed game data about players, and set and monitor daily revenue targets, from a comprehensive dashboard. Prepare your app for new UI paradigms, hardware interactions, and more to take advantage of the growing market for Chromebooks. 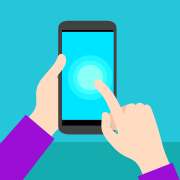 Extend features, such as actionable notifications, to Wear devices to connect with your users no matter what they are doing. Give users the bigger picture and the fullest sound by streaming your content to their TV or speakers using Chromecast. Learn about best practices for retaining users when your business needs to introduce them to a replacement app. Gain an understanding of how to judge if it makes sense to deliver your features and content in multiple apps.